At Northern Basement Systems, we specialize in warrantied repairs and upgrades for foundations and below-grade spaces of all types. We take pride on our fast, effective results. A complete, warrantied system can be installed in a home in one, perhaps two days' time. The products we use have been successfully installed in hundreds of thousands of homes worldwide. Our installations include written warranties that can be transferred to the next owner of your home. 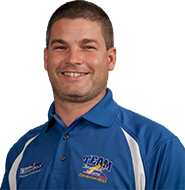 Matt Clark, the owner and president of Northern Basement Systems, is a long-time Vermonter, and a proud father of four wonderful children. His wife Alelia Clark (also a long-time Vermonter) heads the office, leveraging her background in property management and customer service to keep things running smoothly. 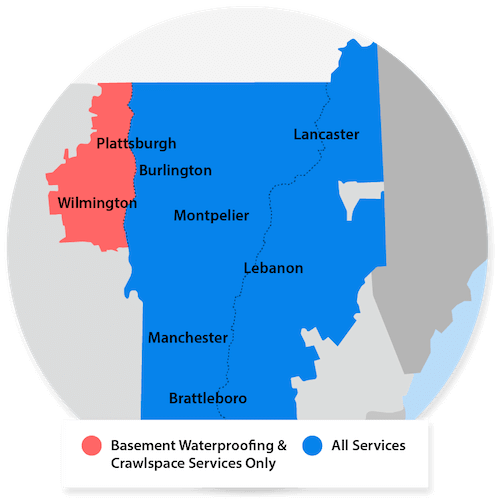 Along with his expertise in basement waterproofing, Matt Clark specializes in "All Things Basementy", including basement waterproofing, basement remodeling, foundation repairs, and crawl space repair. In addition to these credentials, he holds a Home Inspection certificate, and has completed a Dale Carnegie course. We are proud members in good standing with the local branch of the Better Business Bureau, as well as holding membership in the Home Builders & Remodelers Association of Northern Vermont. Our service area includes the Vermont and New Hampshire area, including Burlington, Keene, Colchester and nearby. Matt Clark has been been working in the basement waterproofing business since 2003, when he became a certified waterproofer through the Basement Systems International Network. Matt Clark, his wife, and the rest of the staff are passionate about their customers, and believe in conducting business to the highest standards of integrity, honesty, and professionalism available in the industry. "Professional and timely response to questions. Work..."
"Sorry it took me so long to respond to you but I have been..."
At Northern Basement Systems we provide free, no-obligation quotes for all homeowners in our service area who are interested in knowing more about how we can help repair or upgrade their home. Each free quote includes an on-site inspection and measurement, and a professional consultation where we answer any questions you may have. We'll work with you to customize a system that accomplishes everything you'd like to do -- and provide a cost quote in writing to you. To schedule your free quote, contact us by phone or e-mail today! Matt Clark and his staff are standing by to help you! We offer free, no-obligation quotes for all homeowners within our Vermont and New Hampshire service area. To schedule a free quote for your basement, crawl space, or foundation, contact us by phone or e-mail today!